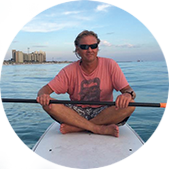 The best way to rent a board or kayak, or to get more information on our Shell Island Paddleboard Excursion is to call or text Bo at 850-258-7245. This is our 8th season in the paddleboard rental business, and we have thousands of satisfied returning customers. Be sure you contact us for the best deal on the beach!